Very exciting! 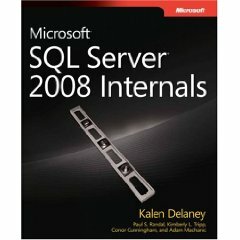 The SQL Server 2008 Internals book we're working on with Kalen is now available to pre-order on Amazon, ahead of the planned publication date of February 18th next year. I'm neck-deep in the Consistency Checking Internals chapter right now – its shaping up to be about 100 pages on its own! There's no description yet on Amazon but at least you can pre-order – see here. Do you know whether the new book of K. Delaney is a new version of her marvellous book : Inside SQL Server 2005 the storage engine , reviewed for SQL Server 2008 ? Err – yes, isn’t that kind of clear?